Atharvaa Murali has been busy with his maiden production venture, Semma Bodha Aagadha, in which he is also collaborating with his first director Badri Venkatesh. After this film, Atharvaa will be seen in an out and out comedy entertainer. The Eetti actor has officially confirmed his next project through his Twitter handle by tweeting “With much love & support we kick-start my next film titled GEMINI GANESANUM SURULI RAJANUM for #Ammacreations from today in Madurai”. 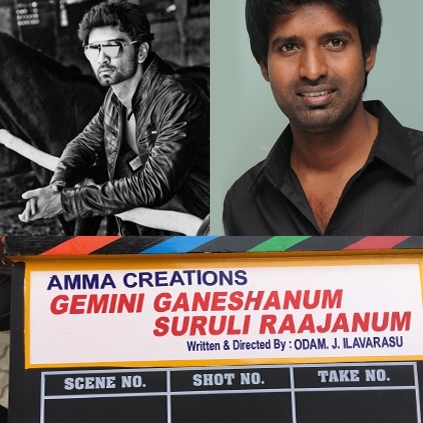 Gemini Ganeshanum Suruli Raajanum will be a comedy entertainer featuring Soori in an important role. Regina Cassandra will be playing the lady lead. Shooting for this project has commenced in Madurai today, 27th of June. Debutant Odam Ilavarasu will be directing this flick funded by Amma Creations. "Excited for a Baasha type of role again!!" Thala 57: Ajith and Anushka portions to be canned first! ARM Is Proud Of Vijay, Ajith And Atharvaa. Atharvaa's Eetti To Be Remade In Telugu, Kannada And Hindi. People looking for online information on Atharvaa, Regina Cassandra, Soori will find this news story useful.